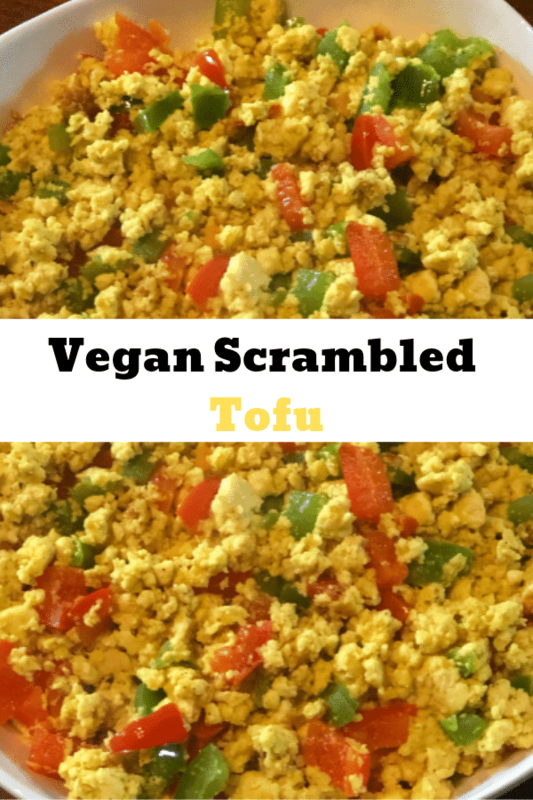 Scrambled tofu simple, healthy recipe is an excellent substitute for egg scramble in vegan and vegetarian breakfast meals. It is gluten-free and has high proteins with fewer calories compared to eggs. Tofu has a flat taste; you may not enjoy it without adding any additional flavors to it. The convenience with it is that it can take any added flavor or food attached to it. How to make scrambled Tofu. You will first drain all the water from the tofu. Place it between two clean towels or paper towels and squeeze out the water. Cut the tofu in cubed sizes and transfer in a medium bowl. Mash it with a fork or spoon and add your flavorings such as turmeric, black pepper, cardamom, and nutritional yeast. Mix well and let sit for two minutes for the tofu to absorb the flavors. Heat one tablespoons of oil in a skillet and add your mashed tofu then fry it for about five minutes on medium high heat until it starts to dry up. Add your chopped onions, minced garlic, and bell peppers. Keep frying, add salt mix and cook well for another five minutes. This breakfast option is a great savory breakfast alternative for starting your day. Instead of eating a fat and calorie dense options for breakfast why not try tofu especially when you are trying to go lean? Tofu has some fantastic benefits to the body. It is a good source of protein; in fact, its protein contents are higher than those of eggs. It has all the nine amino acids though in low quantities compared to eggs. It is a rich source of iron, manganese, selenium, and calcium which are vital for good health. The iron mineral can help prevent anemia whereas the calcium aids in strengthening bones. Tofu also has vitamins A and B6 and folic acid which help to boost immunity. Tofu is low in saturated fats and cholesterol which makes it excellent for lowering cholesterol. 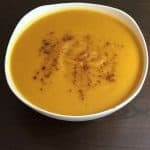 Please try this recipe and let me know how you enjoyed it. You may also like Crispy Fried Tofu. Previous Post: « Almond butter banana Smoothie .